Greece Library Teen Blog: Winner for Week 1: Gabby G.
Charlie is about to start his senior year of high school, but it's not promising to be the great time he was expecting. He just lost some weight, and is looking to impress the pretty new girl, Charlotte. 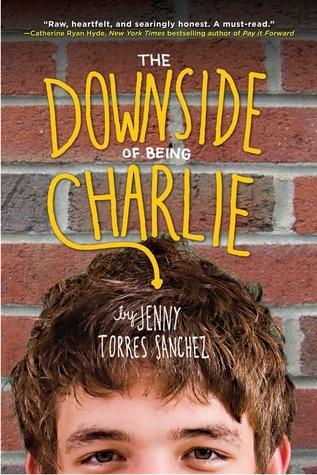 But with his mom disappearing again, and sharing a locker with the school's most notorious freak; will Charlie be able to focus on anything positive? I thought it was a really good book. I loved reading about what he was thinking, and silently cheering him on to make the right decisions.